We have a small, dynamic team with diverse experience across consumer representation, consumer engagement, health promotion, population health, public affairs, communications, community mental health and community development. Melissa leads the organisation to support consumers and health providers to collaborate together to improve the safety and quality of health services. Melissa believes that consumers being involved in decision-making at all levels is essential to achieve consumer-centred care and to improve health services. 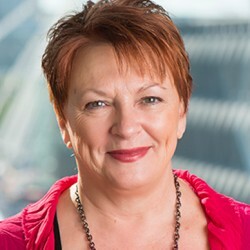 She is a consumer representative on the Queensland Clinical Senate and the Nursing and Midwifery Executive Council and a board member of Consumers Health Forum (CHF). 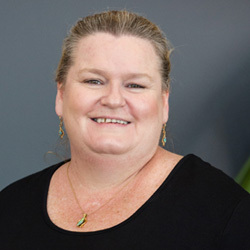 Melissa has been a part of the journey of Health Consumers Queensland; she was an original member of the Ministerial Advisory Committee that later became the independent organisation that is now Health Consumers Queensland. Melissa is a mother of two gorgeous girls and has previously worked in documentary and reality television. Melissa first learnt the importance of individuals advocating for their health needs when she watched her grandparents confidently make choices around their own health needs after they each survived multiple heart attacks and strokes. After starting her own family, she devoted her time as a full time volunteer working on a systemic level to improve access to models providing continuity of midwifery care. Melissa has seen first-hand from her own consumer representative roles, how valuable the partnerships between consumers and clinicians are in creating healthier people and communities. She is working towards consumers being recognised and valued as leaders in health decision-making for their own healthcare as well as at a policy and systems level. Jo is responsible for developing the capacity of consumers and staff to work together to design a health system that provides great health outcomes and experiences. Her main area of work is with staff in the Department of Health but also provides support to a number of Hospital and Health Services. 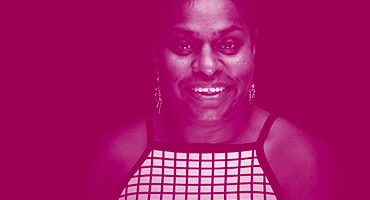 Her strategic advice to consumers, health leaders and staff is supported by her formal qualifications, her extensive knowledge of consumer engagement from working at Health Consumers Queensland, and her lived experience of being a consumer representative. Jo loves the idea that health consumers can change the way in which we receive care by speaking up and becoming involved in decision-making about policies, services and health priorities. Being involved with a voluntary organisation that works towards improving maternity care for women across Australia helped Jo to see how consumers can be influential in re-designing and shaping our health care. 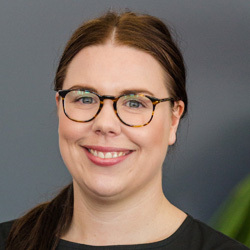 Chelsea is responsible for supporting and maintaining relationships with a number of Hospital and Health Services and other organisations to support and increase effective partnerships with consumers and carers. This is done through a number of ways including, delivering trainings, facilitating workshops, providing strategic advice and specific project work including our Annual Forum. If you would like the opportunity to discuss consumer engagement and how you can embed this within your work, please contact Chelsea. Having engaged and worked with consumers and community members within a primary healthcare setting for a number of years, Chelsea understands the importance of partnering with consumers in shaping and improving the way health care is designed and delivered. Chelsea believes partnering with health consumers, carers and family members is a top priority in the decision making to improve health care and health services. 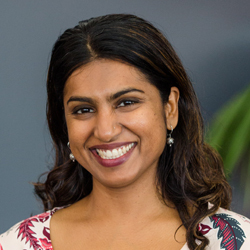 Reema is responsible for liaising and maintaining relationships with the Hospital and Health Services staff working in consumer and community engagement to support their effective partnering with consumers and carers. Reema’s role incorporates providing strategic advice, training and specific project work. Reema has worked extensively in community development as well as health promotion with culturally and linguistically diverse communities (CALD). She believes that to be engaged and involved in our own health decision making is essential to a person’s wellbeing. To understand our own physical and mental needs and to be able to articulate our health care needs, empowers a person to take control of their health. Having lived and worked in various countries she truly appreciates the wonderful health care system Queensland has to offer. Reema is passionate about supporting and skilling consumers, in particular CALD consumers and health care providers to be able to better engage with each other so that health consumers and their family’s needs are met. Suzanne’s role at Health Consumers Queensland supports making consumer partnerships more effective. Suzanne develops resources, delivers training, and provides strategic advice to consumers, carers, and health service staff. Suzanne’s experience in health promotion showed her the difference true engagement can make to the lives of ordinary people, and the importance of equity of access to information. Suzanne is passionate about capacity building for consumers and staff to help them work together to build a better health system. Nicole is responsible for the day-to-day running of the office making sure our finances are impeccable and our consumer partners are reimbursed on time for their work with us. Nicole likes to use her administrative skills for organisations that make a social difference, particularly those who work towards equity for people who are sometimes overlooked or marginalised. Michael is our Project Support and Event Coordinator, that brings a little “zing” and a lot of “zest” into the organisation. Michael has been working in the wedding and events industry for the past 13 years. Most recently, he was employed with Metro North Hospital and Health Service in a variety of roles including Service Improvement with a focus on Standard 2 – Partnering with Consumers. 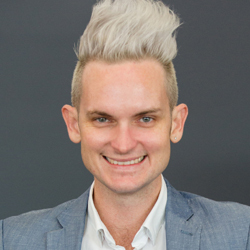 Those who attended the recent Health Consumers Queensland Annual Forum will remember Michael by either being extremely tall or more commonly known as “the brother with the cool hair”. Michael provides project support to our Project Team, works with Department on consumer recruitment as well as coordinates the communication with our networks. Michael is always happy to have a chat or provide support to health service staff and consumers. Michael was originally hired as a contractor to assist in producing the annual forum. Throughout the contract, Michael demonstrated a commitment and passion to assisting consumers and health staff to better shape and co-design services being offered to Queenslanders. Michael understands whilst there is still much work to be done in this space, incredible paths are being paved to providing a better health system to all Queensland patients. He also can’t wait to get started on our 2019 Annual Forum. Anne was our Project Manager and Senior Engagement Advisor for the past three years. Anne resigned from her full time position in May 2018 and has continued to work in a part-time capacity for Health Consumers Queensland on a consultancy basis on specific projects for Queensland Health and also fee-for-service projects. Anne has been instrumental in building the profile of the organisation and many of the relationships that underpin much of our work today. 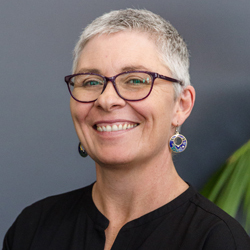 Her consumer-focused, high level strategic advice on how to embed meaningful partnerships and the importance of health literacy has been much valued by the health organisations she has worked with. 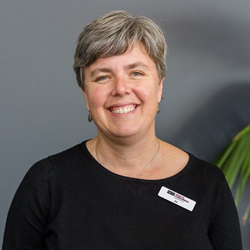 Anne has over 28 years’ experience working in hospitals and health services in Australia and New Zealand, in senior communication, engagement, fundraising and project management roles. 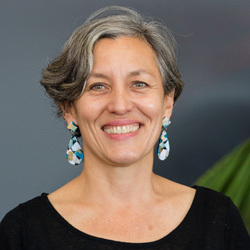 Anne has also managed a community engagement organisation in New Zealand focused on having the community’s voice heard in health planning and service delivery. I am passionate about the voice of consumers being heard and valued at all levels of health. This is why I continue to work part-time on projects that enable and encourage the voice of consumers in making significant change to how health services are designed and delivered. Leonie Sanderson is the Health Consumers Queensland Engagement Advisor. Leonie has over 20 years of experience working in the consumer, engagement and community space and is looking forward to achieving positive outcomes on this significant project. Leonie believes that the best way to achieve real, lasting change in the health system is to enable people to be equal partners in their healthcare. Leonie’s advocacy began early when she staged a puppet show in Grade 3 to raise money for Deaf Children Australia. 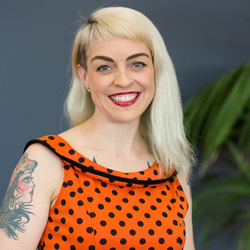 From working in Women’s Health to developing social policy to delivering community engagement projects, Leonie is committed to making sure the voice of consumers is heard and acted upon. She also loves strong black coffee and cannot resist an offer of chocolate.